When the principal of my new school emailed me at the beginning of August and asked me to talk to students at orientation my response was an enthusiastic "Absolutely!" And then the panic set in, how many kids? How long did I have with them? What were the expectations? What had been done in the past? In my principal's response she told me "Changing up the 'old way' of doing it is okay." Trying to live up to what someone else used to do is a daunting task, knowing you are free to make it your own is liberating! As part of the orientation, I worked with the Director of Instructional Technology to help students set up their Gmail accounts. We would have only 25 minutes and groups of 40 students which meant we had to work efficiently. I remember freshman orientation being overwhelming....having to memorize a schedule, know where the classes are in a huge school and just the lockers was enough to send me in to a panic...let's not talk about the overwhelming social part of those teen years. The students had enough to remember. First and foremost, I am here to help them and that I am approachable but with firm (and reasonable) expectations. 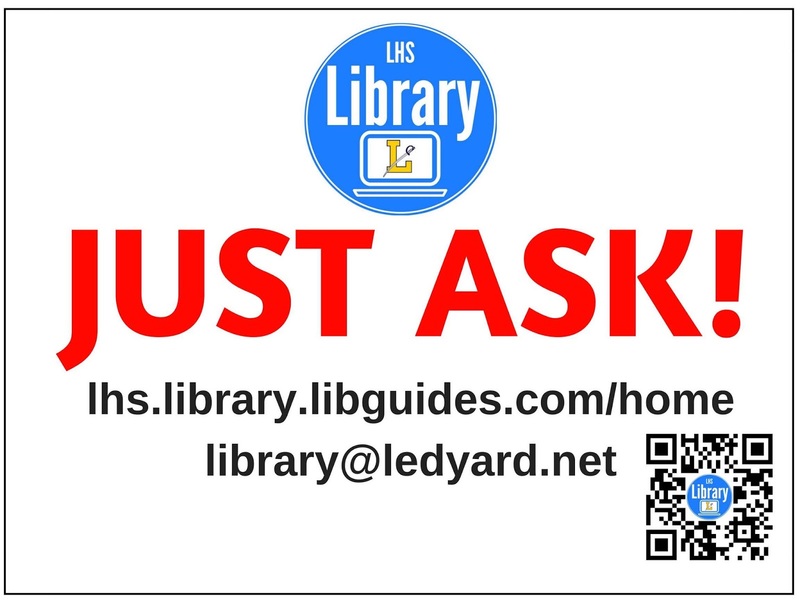 Our library's new motto: JUST ASK! 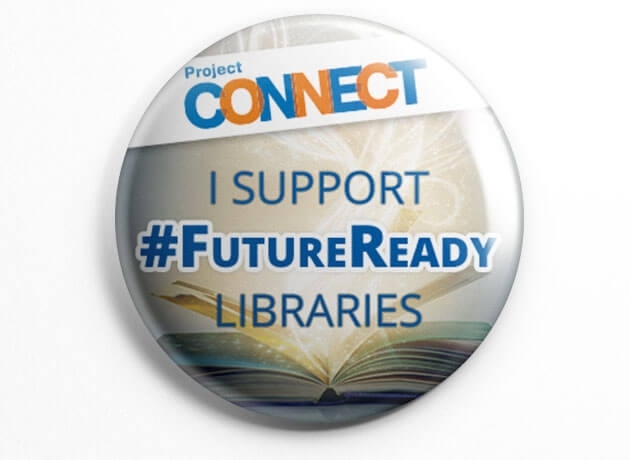 Second, they needed to know that our library is more than a room of books, that we are a virtual library that they can access 24/7 from anywhere. I created a short Google Slides presentation with a Harry Potter meme, and Pokemon Go images. I knew the kids might find it goofy but that was ok. What they don't know yet is that I plan to use the process of my selection of those particular images as part of a copyright discussion that I will have with freshman in their English classes in a few weeks. The Director of IT gave a short introduction to Google Classroom. With the help of our amazing National Honor Society students, we gave kids their email addresses and had them create their new passwords. 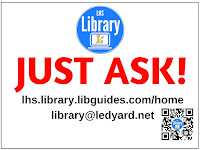 I had created bookmarks with links to our library resources and my email contact. I encouraged kids to write their login information on the back of the bookmarks and then take a picture of it with their phones. The process of setting the emails up during this time with the Director there allowed us to immediately troubleshoot any issues kids had. I had two other activities up my sleeve if time had allowed. I created a Flipgrid for students to introduce themselves. Flipgrid is a a web based platform for video discussion. My plan was to ask them to say their full name in the introduction and what their personal hashtag would be, or what their favorite book was, or just something unique they wanted their teachers to know. The purpose of this was introduce students (and teachers) to a new technology and to send the link to the freshman teachers so they could start putting names (and pronunciation of names) to faces. It was not something I was going to use publicly or post on social media. The other activity I had created was a quick Kahoot, an interactive "game-based learning platform", with information about the library. Next year, students will arrive as freshman knowing their Gmail addresses from the middle school. 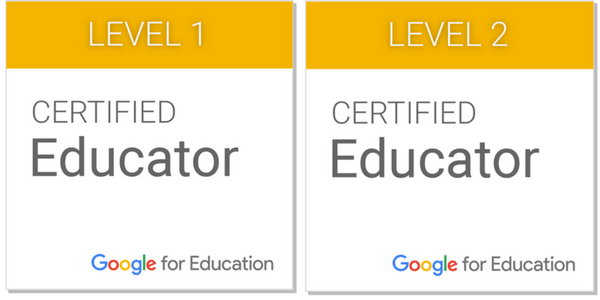 They will be familiar with Google Classroom and the GAFE apps. I will also know more of the students than just the ones I worked with in the two elementary schools where I worked because I am also working at the middle school this year. With my experience this upcoming school year, I will be able to gauge what students are learning in middle school and what they will need to know for high school and incorporate that in to the orientation. 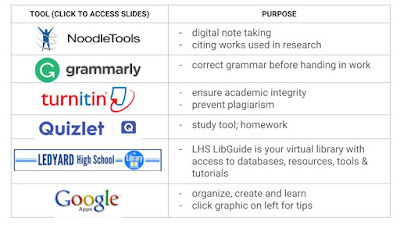 I can also work in FlipGrid and Kahoot if time allows. The best thing about orientation was realizing that despite being a bit nervous, I am truly excited about this new adventure in my career!